Resource center Drug Recovery Process and Timeline What Is a Chronic Pain Management Program? Globally, about 1.5 billion people, or 3-4 percent of the worldwide population, are thought to suffer from chronic pain, the American Academy of Pain Medicine reports. Pain is a natural defense mechanism that the body uses to tell itself that there is an injury, infection, or that something is wrong. The nervous system fires off messages to the brain telling it that there is a problem and creating pain sensations. This is called acute pain. Chronic pain is persistent, and it occurs when the nervous system continues to fire regularly. This may happen after an initial injury and the pain continues or lingers; however, chronic pain can occur without a specific medical or bodily issue to bring it about. Common complaints of chronic pain include headaches, lower back pain, neuropathic pain (nerve pain), arthritis pain, and cancer pain. The National Institute of Health (NIH) cites chronic pain as the leading cause of long-term disability in the United States and publishes that Americans access the healthcare system most frequently due to complaints of pain. Traditionally, pain and chronic pain have been managed by medications. Narcotics, including opioid pain relievers, are regularly prescribed for pain management. Long-term use of painkillers is not without serious risk of dependence, abuse, and addiction, however, and it may be beneficial to use alternative methods for managing chronic pain on a daily basis. A chronic pain management program can help individuals take an active role in managing their pain, providing tools and tips for self-soothing, coping, and promoting a healthy lifestyle. A team of professionals can work together with individuals and families to design and carry out a treatment plan for managing pain on a long-term basis. Chronic pain management programs are individual and tailored to the specific person and their set of circumstances. Opioid drugs like OxyContin (oxycodone), Ultram (tramadol), and morphine are examples of opioid painkillers. These medications work by slowing down functions of the central nervous system and blocking pain sensations. They bind to opioid receptors in the brain and artificially alter levels of some of the brain’s chemical messengers involved with pleasure, learning, memory, and movement. Heart rate, blood pressure, body temperature, and respiration rate are all lowered as are anxiety and stress. These drugs effectively stop pain, but they are regularly abused as they can also produce a euphoric “high,” especially when taken outside the bounds of a necessarily and legitimate prescription. Since opioid drugs interfere with natural brain chemistry and function, they are also habit-forming and can cause physical and emotional dependence when taken regularly. Box warnings on drug labeling for medications like OxyContin warn individuals of the risks of drug dependence when taking these medications long-term and indicate that they should be used as a last resort for chronic pain when other medications or methods are not working and only under the direct supervision of a highly trained healthcare provider. Long-term use of an opioid drug can render the medication less effective as the body becomes used to its presence and interference with the central nervous system. This can mean that the drug may not work as well on the pain sensations, tempting a person to increase the dosage or take more pills more often. When opioid drugs are used in a method or manner outside of their prescribed use, it is considered abuse. According to the National Survey on Drug Use and Health (NSDUH), over 4 million people aged 12 and older in the United States abused prescription pain relievers in 2014. More than 2 million Americans battled opioid addiction in 2015, the American Society of Addiction Medicine (ASAM) reports. Opioid overdoses and fatalities are at an all-time high, as the Centers for Disease Control and Prevention (CDC) publishes that 91 people die in the United States daily from an opioid overdose (from both the illegal opioid heroin and licit opioid painkillers). The CDC further reports that opioids may not be the best option in treating chronic pain and taking opioids for chronic pain leads to higher rates of abuse and overdose. Over one-quarter of all those taking opioids for chronic pain not related to cancer are believed to potentially be dependent on them. One out of every 550 people studied who were using opioids long-term died from opioid-related causes in less than three years after starting them, CNN reports. Chronic pain may often need to be managed by medications, but there are alternatives to opioids, the journal Practical Pain Management publishes. Nonsteroidal anti-inflammatory drugs (NSAIDs): These medications are analgesic pain relievers that also work to reduce inflammation. COX-2 inhibitors like Celebrex (celecoxib) are commonly prescribed for chronic pain. Antidepressant drugs: Tricyclic antidepressants (TCAs), selective serotonin re-uptake inhibitors (SSRIs), and serotonin and norepinephrine re-uptake inhibitors (SNRIs) help to control brain chemistry and can therefore be helpful with chronic pain. Examples of antidepressants include Effexor (venlafaxine), Zoloft (sertraline paroxetine), and Pamelor (nortriptyline). Anticonvulsant drugs: These medications work to suppress nerve firings that may in turn block pain sensations; therefore, they may be helpful for chronic pain. Drugs like Lyrica (pregabalin) and Gabarone (gabapentin) may be used. Muscle relaxants: Muscle relaxants, like Soma (carisoprodol), are used more to treat tight muscles and some symptoms associated with chronic pain instead of the condition itself. Corticosteroids: These drugs stop inflammation and can therefore help with chronic pain; however, they also have multiple side effects and are generally used with caution. Examples include Deltasone (prednisone) and Dexamethasone (decadron). Topical analgesics: Medications in the form of creams or patches, like Lidoderm, (lidocaine patch) placed directly on the skin can help with chronic pain. Chiropractic care: Manipulation of the body and resetting positions of the musculoskeletal system by a trained chiropractor can help to restore mobility and function, thus helping to alleviate pain and increase range of motion. Acupuncture: The use of needles in specific pressure points along the body can improve blood flow and is thought to enhance the movement of a person’s chi, or energy force, throughout the body. Yoga: The art of movement and holding certain body positions can help a person to relax and improve their physical wellbeing and strength, which may translate into pain relief. Mindfulness meditation: This is often combined with yoga and focuses on connecting the mind and body together. When a person is more aware of how they feel emotionally when pain occurs, they may be better able to manage or minimize it. Learning how to re-center one’s mind to relieve stress and tension is a key component of this technique. Massage therapy: Physical touch can help to work out pain, tension, and discomfort and may therefore be helpful for chronic pain. A chronic pain management program will generally encompass a wide variety of methods to manage discomfort, improve function, and boost overall health and wellbeing. Treatment plans will vary from person to person and may include the use of medications, medical, or even surgical interventions when needed. Chronic pain can interfere with a person’s ability to function normally in everyday life, and individuals may build up dysfunctional coping skills to deal with the pain. Behavioral therapies help people to work through self-destructive behaviors and modify negative thoughts into more positive ones. Therapies can serve to enhance coping and stress management skills, which in turn help to relieve muscle tension and potential sources of physical pain. Improving psychological distress can be highly beneficial in a person’s overall quality of life and health. 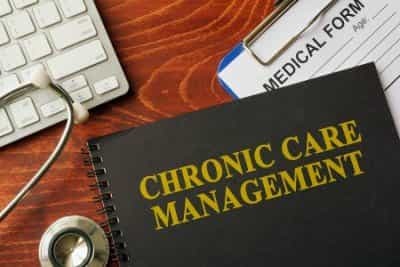 Chronic pain management programs generally provide integrated medical and psychological care and may also include treatment for co-occurring disorders, such as depression, anxiety, or addiction when necessary. Opioid drugs, and many other medications taken regularly over a period of time, cannot be stopped suddenly. Medical detox programs offer a secure environment where these medications can be weaned off slowly and processed safely out of the body during a controlled tapering schedule. Teams of trained professionals will work together to provide the necessary comprehensive care. Programs may be carried out in an outpatient or inpatient (residential) basis, depending on what level of care is desired and needed. With an outpatient program, a person will attend meetings, sessions, and appointments as required, and these can be scheduled around existing obligations or duties. Residential treatment programs are more intensive and provide care and structure around the clock for an elevated level of care. Treatment consultants can help families and individuals to determine what type of program and level of care is best for them.